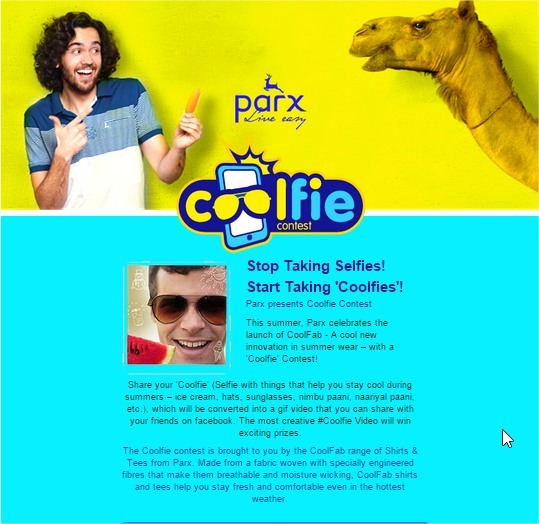 Facebook Selfie Contest with a unique twist developed with MRM WorldWide, India for Parx Live Easy. In the app, a user can click or upload a selfie, then proceed to choose a doodle gif from a given set and write a message. All these are stitched together to create a Video which user can share on various Social Platform. The webcam submission is implemented using Flash on Desktop and HTML5 for Mobile. People accessing app through Mobile devices are automatically redirected to the Mobile version of the app.